The CAPSELLA Project successfully organised the first phase of its hackathon on 18th of November 2016 in Athens.This first phase was attended by about 25 people who followed the presentations and joined the challenges. During the first stage, the challenges and problems faced by local communities in the field of agro-biodiversity (e.g. members of agricultural associations and cooperatives, as well as smallholder farmers and other stakeholders involved in food production systems) from different European countries were presented to hackers, developers and new startup companies, who participated to the Athens Startup Safary on the 18th of November 2016. During the second stage, hackers, developers or startup companies, who had expressed interest, were invited on 2nd of December 2016 to work on technical solutions towards addressing the challenges and problems preselected during the first stage. According to the judges the final ranking of the developed solutions was as follows: (a) 1st Place: Foodakai, (b) 2nd Place: e-Health Kids, (c) 3rd Place: iSoil, (d) 4th Place: MyCoop . 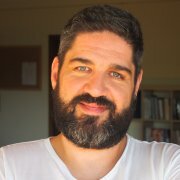 Pavlos Georgiadis is an interdisciplinary researcher in the areas of Biodiversity Conservation, Sustainable Development, Rural Communication & Extension with international experience across the public, private and civil society sectors in 11 countries. He holds a BSc/(Hons) in Biological Sciences/Plant Science (University of Edinburgh, UK), an MSc in Biodiversity & Taxonomy of Plants (University of Edinburgh & Royal Botanic Garden Edinburgh, UK) and a second MSc in Environmental Protection & Agricultural Food Production (University of Hohenheim, Germany). He is currently at the final stage of a PhD in Social Sciences of the Agricultural Sector (University of Hohenheim, Germany). During his academic research, he has collaborated with various research institutes and worked with rural communities in mountainous regions of India (Wildlife Institute of India), Thailand (Chiang Mai University Herbarium) and China (Chinese Academy of Sciences) on issues related to the valorisation and commercialisation of local biodiversity and quality nature products. He is a leading advocate for agroecology in Greece, advising major national and EU institutions on sustainable food policy. 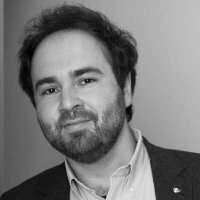 He is a member of the core group of ARC2020, Convivium Leader of Slow Food Thrace, member of the Steering Committee of EatingCity and of the Advisory Board to the European Citizen Science Association. He is a serial entrepreneur and award-winning filmmaker, with good practical knowledge on sustainable food production and marketing, being a cofounder of We Deliver Taste (Czech Republic) and founder of Calypso Single Varietal Extra Virgin Olive Oil (Greece). Pythagoras Karampiperis is the Research Director of Agroknow. He holds a diploma and MSc n Electronics & Computer Engineering and an MSc in Operational Research, all from the Technical University of Crete. He also received a PhD on Adaptive Educational Hypermedia Systems from the Department of Digital Systems, University of Piraeus, Greece. He is a member of the Institute of Electrical and Electronic Engineering (IEEE), of the IEEE Technical Committee on Learning Technology (TCLT), of the IEEE Technical Committee on Intelligent Informatics (TCII), of the IEEE Technical Committee on the Internet (TCI), of the International Forum of Educational Technology and Society (IFETS), of the Hellenic Association of Artificial Intelligence (EETN), of the Hellenic Scientific Association on ICT in Education (AICT), of the Hellenic Association of Computer & Information Technology Scientists (GCS), and the Technical Chamber of Greece (TEE). Dr. Karampiperis has been involved in the conception, coordination and realization of more than twenty (20) EU and US-NSF funded projects. His main scientific interests are in the areas of Semantic Web Technologies, Machine Learning, Data Mining, and Artificial Intelligence. He is the co-author of more than 65 publications in scientific books, journals and conferences with at least 630 known citations (h-index: 14 / g-index: 24). Eleni Toli is a Senior Project Manager at the Athena Research Center and the Department of Informatics and Telecommunications at the University of Athens. Since 2002 she has been involved in the scientific, technical and financial coordination of several EU-funded projects related to ICT in general, and to Data Research Infrastructures, Open Data and Cloud Computing, in particular. She has a strong project management background, having worked as an executive for a number of German and Greek consulting companies. She holds an MSc degree in Labour Economics from the University of Bochum and a BS degree from the University of Ioannina. Eleni Toli is the CAPSELLA project manager. 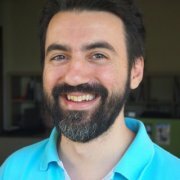 Panagiotis Zervas is a Senior Project Manager at Agroknow, since April 2016. 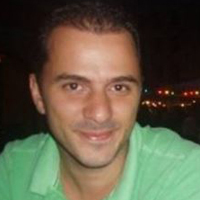 He holds a Diploma in Electronics and Computer Engineering from the Technical University of Crete, Greece in 2002, a Master’s Degree in Computational Science from the Department of Informatics and Telecommunications of the National and Kapodistrian University of Athens, Greece in 2004 and a PhD from the Department of Digital Systems, University of Piraeus, Greece in 2014. He has 13-year professional experience in the conception, coordination and implementation of 21 R&D Projects in Technology-enhanced Learning and Learning Technologies. He is co-chair of the Working Group on Agrisemantics of the Research Data Alliance (RDA). He has also been involved in the design and implementation of large-scale EU-funded initiatives such as CIP Inspiring Science Education and FP7 Go-Lab. He is the co-author of more than 90 scientific publications with more than 400 citations, as listed in Scholar Google and he has received 5 times Best Research Paper Awards in International Conferences on Learning Technologies (July 2014, July 2011, November 2010, July 2009 and July 2007). The 1st CAPSELLA Hackathon will take place at Orange Grove. Orange Grove is a flexible co-working space and network community of young entrepreneurs in Greece. It is located in center of Athens just opposite the Kallimarmaro Stadium. Orange Grove is an initiative of the Embassy of the Kingdom of the Netherlands in Athens, financially supported by Greek and Dutch companies and local charity foundations. More info about Orange Grove can be found at here. What is the 1st CAPSELLA Hackathon? The 1st CAPSELLA Hackathon is an event that aims to gather participation hackers, developers or startup companies, so as to solve the challenges and problems that are being faced by local communities in the field of agro-biodiversity (e.g. members of agricultural associations and cooperatives, as well as smallholder farmers and other stakeholders involved in food production systems) with the use of open data. The 1st CAPSELLA Hackathon is organized by the EU-funded CAPSELLA Project via its partner Agroknow, and it will be hosted at Orange Grove, a flexible co-working space and network community for young entrepreneurs in Greece, which is supported by the Embassy of the Kingdom of the Netherlands. You will be asked to select and address one of the challenges one of the challenges proposed by the organizers. You are not authorized to work on your own challenge. Your solution could be an app for addressing the selected challenge, which should use the APIs and the datasets that have been proposed by the organizers in the challenges descriptions. How and until when can I declare my participation? Participation to the hackathon can be declared only via this form. You can declare your participation until 1st of December 23:30. Please keep in mind that there are only 60 participants’ slots and the participants’ list will be compiled in a fist come first served basis. Each team shall consist of between 2 to 5 people. It’s possible to sign up alone or by team. If you don’t have a team, we will help you to join one. Please see “Intellectual Property” in Terms & Conditions. Send an email to pzervas@agroknow.com or find us on Twitter and/or on Facebook . Information on how to enter the 1st CAPSELLA Hackathon (the “Competition”) and the prize details form part of these terms and conditions of entry (“Terms and Conditions”). Registration into the Competition is deemed acceptance of these Terms and Conditions. Solutions not in accordance with these Terms and Conditions are deemed ineligible. The Competition is organized by the CAPSELLA Project (which is funded by the European Union’s Horizon 2020 research and innovation programme under grant agreement No 688813) via its partner Agroknow BVBA (“Agroknow” or the “Organizer”), having its Office at 60 Kapeldreef Str., I&I Center, BE3001, Leuven (Heverlee), Belgium. The following terms will have the following meaning in the present Terms and Conditions (TCs): “Competition” means the developer event called “1st CAPSELLA Hackathon” organized by CAPSELLA Project via its partner Agroknow BVBA, starting on November 18th 2016 with challenges presentation and solutions design and ending on December 2nd 2016 hosted at Orange Grove at 5 Leoforos Vasileos Konstantinou, 106 74 Athens, Greece with the solutions development and announcement of the winner(s). “Participant(s)” means any individual of at least 18 years of age or company that is registered to participate to the Competition. “Solutions” means the innovative solutions developed by a Participant during the Competition. The Organizer along with other CAPSELLA Project partners will present challenges to the participants in the form of narratives descriptions, along with APIs and datasets for solving these challenges. Participants have to choose one of the challenges presented. Participants are not authorized to work on their own challenge. 1st Phase: It will be the phase during which the Organizer other CAPSELLA Project partners will present the challenges to the participants and they will start thinking ideas and design their solutions, so as to address these challenges. 2nd Phase: It will be the phase during which Participants will have to develop innovative solutions for addressing the challenges presented during stage 1 with the goal to win a prize following an evaluation by a panel of judges. Agroknow BVBA is the organizer of the event and it is fully responsible for the event. The Organizer will be responsible for the Competition and for setting up a jury deciding on the winner(s) of the Competition (the “Jury”). The Organizer retains the right to change, supplement, add provisions or remove provisions from these Terms and Conditions. To have a proper behavior during the Competition and respect the equipment of the Competition venue, as well as the other Participants. The Participant agrees and acknowledges that any violation or damage of the Competition venue’s equipment or inappropriate behavior to any other Participant will result in immediate disqualification of the Participation from the Competition, and lead to immediate disqualification of the Participant without prejudice to the Organizer. To release and hold harmless the Organizer, its subsidiaries, affiliates and employees from any and all liability or any injury, loss or damage of any kind, arising from or in connection with the Competition or any prize won. The Participant is responsible for payment of all costs arising from the participation to the Competition. To agree that all decisions of the Organizer will be final and binding on all matters related to the Competition. To agree that all the Jury’s decisions will be final and binding on all matters related to the Competition. That any photo or video containing his/her likeness or voice, as may be shot or filmed during the Competition, may be published by the Organizer, in part or in full, with or without stating the Participant’s name, on any media, including but not limited to the Organizer’s website and or social media pages, at the Organizer’s sole discretion. This authorization will be given for 10 years and shall be valid Worldwide. The Jury for the Competition will be comprised of representatives of the Organizer and external experts. The Jury will evaluate the solutions developed during the Competition based on the demonstration and according to the judging criteria, which are listed in section “Selecting the Winners”. In the event of a tie, the Jury will deliberate to determine a winner. The members of the Jury might change at the Organizer’s sole discretion and upon availability. In the event of a conflict of interest, a member of the Jury may disqualify him/herself or be disqualified by the Organizer from passing judgment on a particular Participant. Such disqualification shall not affect the judging or review of the Participant’s solution by other members of the Jury. The final Jury will select the winners of the Hackathon according to the following criteria, each of which will be scored on a 1 to 10 scale. In the event of a tie, judges will deliberate to determine the winner. The solutions will be evaluated based on the following criteria: (i) originality/creativity (30%), (ii) innovation (25%), (iii) exploitation of diverse open data sources (15%) and (iv) practical implementation (30%) In the final demos, each participant will have 5 minutes to demonstrate their project and 2 minutes for questions and answers with the jury. Any data or material provided by the Organizer during the Competition shall remain the sole property of the Organizer and the Participants shall not have any rights in such data or material. The Participants are only entitled to use such data or material for the purposes of the Competition and shall not use it afterwards; this also applies in cases where the Participants have integrated the data and material in their works created during the Competition (“Work Results”). Participants are duly informed – and acknowledge – that the Organizer does not guarantee the confidentiality of the information contained in Work Results. The Organizer advises participants to take all measures that they deem appropriate to protect the information or technical elements that they hold and which would likely be the subject of intellectual property rights, prior to participating in the Competition. Participants undertake to inform the organisers of any intellectual property rights they hold, and which are enforceable against the exploitation of work done within the framework of this competition to meet one of the challenges The Participants expressly authorize the Organizer, to publish, to communicate, to expose and to disclose, divulgate and represent the Work Results verbally, graphically or in writing, in any medium worldwide and without restrictions in time, and by any means, either present or future, free of charge, in relation to this Competition. The Work Results shall, in no event, infringe in any manner or induce infringement of any third party intellectual property rights. Should the right from identified third party right owner not be commercially available, the Work Result may not be qualified to win the prize. The Participant undertakes to indemnify the Organizer against all claims asserted by third-parties against the Organizer due to an actual or alleged infringement of rights resulting from the use of the Work Results, as well as against all litigation costs (including reasonable attorney fees) required to defend the Organizer against such claims, unless the Organizer itself is responsible for the infringement of rights by its gross negligence or willful misconduct. The Organizer is fully entitled to shorten, extend, modify or cancel the Hackathon should circumstances so require without any liability. The Organizer is fully entitled to disqualify a Participant or a team which does not abide by the Rules or acts in any other way deemed inappropriate by the Organizer; such inappropriate behavior, harmful and discriminating statements, hacking or manipulating or attempt to hack or manipulate the data of the Organizer or other teams. Participants, who are employees of a corporation, government agency, or an academic institution, are responsible for ensuring that their participation complies with any policies their corporation, agency, or institution may have regarding participation in Competitions of this type. If the Organizer has reason to believe that a Participant violated any of those policies, the Organizer reserves the right to prohibit the Participant from participating in the Competition or receiving a prize at any time. The Organizer is not responsible for any disputes arising between a Participant and his/her employer. This Competition will be governed by the laws of Greece. Any dispute arising between the Organizer and the Participants shall be governed by the courts of the Greece (in Athens), excluding any conflict of law provisions.